Proponents of prisoners&apos; and workers&apos; rights point to a push by the American Legislative Exchange Council, or ALEC, to "improve and expand federal prison industries" in several states. Known for its "model laws" crafted in partnership between extreme right-wing legislators and powerful corporations, ALEC drafted the 1995 Texas Prison Industries Act, which expanded the program there and has since been replicated around the country. Roughly half of all imprisoned American citizens work full-time jobs while serving time. They aren&apos;t counted in standard labor surveys, but prisoners make up a sizable United States workforce—870,000 working inmates. The original idea behind prison labor was that job skills would help people re-enter society. However, most of the jobs assigned to prisoners are not skill-building jobs; instead, they involve maintenance of the prison itself. The average wage in state prisons is 20 cents per hour. In federal prisons, the average wage is 31 cents per hour. Despite working full-time jobs, prisoners are not considered employees and do not have the benefit of basic labor protections, such as minimum wage, sick leave, or overtime pay. 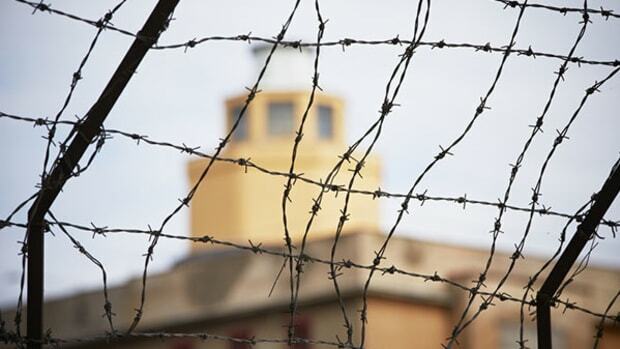 Although prisoners are under OSHA protection, OSHA must notify a prison before an inspection. The U.S. has the highest incarceration rate in the world. If U.S. prisons had to pay prisoners the minimum wage, they could not keep operating. If they paid outside workers to do the work that inmates do, costs could rise 30 to 45 times for the same services. Under current arrangements, the prison industry saves hundreds of millions of dollars each year on labor costs. However, those savings come at a price: without a source of income, inmates’ families often must rely on government social safety net programs. Correctional industries are another part of federal and state prison labor systems. Through these programs, inmates make everything from office furniture and eyeglasses to cleaning supplies and uniforms, for other government agencies. They learn marketable skills and experience much lower rates of recidivism. Yet they still make far below the minimum wage. The federal Prison Industry Enhancement certification program was created in 1979 over labor unions&apos; strong objections. For the first time since convict-lease programs were outlawed, it permitted for-profit companies to set up factories inside prisons, with inmates as employees. Thirty-eight states have such programs. PIE products can be sold on the open market. To avoid undercutting private-sector wages, companies must pay the "prevailing wage" for their particular industry, although in practice this often means minimum wage. The PIE program currently is very small, accounting for less than 1 percent of working inmates. But for growing numbers of companies, prisons provide a cheap source of labor that legal wages cannot compete with. And PIE establishes a model for linking corporate profit and prison labor—and, by extension, the potential for profit-driven exploitation. Paying inmates a prevailing wage would eliminate the complaint by labor unions and others that prison shops are undercutting wages. It would help inmates make amends for their crimes, too, by allowing them to pay restitution to victims. And it would help them accumulate some savings so that they can rebuild their lives when they&apos;re released. Laurie Hazen has bad taste in men. "They&apos;re my downfall," the 41-year-old jokes in her Massachusetts accent. "I have to really stay single." An ex-boyfriend first introduced her to prescription drugs, she says, a habit she maintained through the course of another relationship, with another addict, and through two stints in prison, most recently in 2012 for writing fake prescriptions. When she arrived at the Massachusetts Correctional Institution in Framingham, Hazen left behind a job as a records manager for a fiber-optics company. Her $14-an-hour salary had covered food, utilities, and rent on the modest apartment she shared with her boyfriend and her teenage son. She would have been putting some money away, too, if her paycheck hadn&apos;t also been covering the couple&apos;s drug habit. 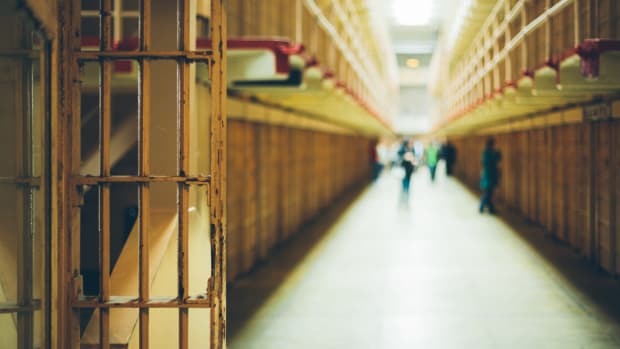 As it was, like many inmates, she went to prison with no savings and, because her boyfriend was locked up too, had no one on the outside to send her money. Her son went to live with his dad. After two weeks in prison, Hazen could apply for a job. Because her sentence was less than a year, she wasn&apos;t eligible for the prison&apos;s highest-paying job at $20 per week—stitching American flags for the state police—and she had to choose between washing dishes in the kitchen and cleaning bathrooms. Because portions in prison are notoriously small, Hazen took the kitchen job so she could eat a little extra before and after her shifts. She earned $2 a day collecting inmates&apos; dirty trays and loading them into the dishwasher during breakfast, lunch, and dinner. The cramped room where she worked had no windows and routinely filled with steam from the 200-degree dishwasher. There was one tiny fan. "It was pretty much slave labor," she says, "but there was nothing I could do about that. I needed stamps to write to my child. I needed hygiene products." About half of the 1.6 million Americans serving time in prison have full-time jobs like Hazen did. They aren&apos;t counted in standard labor surveys, but prisoners make up a sizable workforce: with 870,000 working inmates, roughly the same number of workers as in the states of Vermont and Rhode Island combined. Despite decades&apos; worth of talk about reform—of giving prisoners the skills and resources they need to build a life after prison—the vast majority of these workers, almost 700,000, still do "institutional maintenance" work like Hazen&apos;s. They mop cellblock floors, prepare and serve food in the dining hall, mow the lawns, file papers in the warden&apos;s office, and launder millions of tons of uniforms and bed linens. Compensation varies from state to state and facility to facility, but the median wage in state and federal prisons is 20 and 31 cents an hour, respectively. Because inmate workers are not considered "employees" under the law, they have none of the protections that word implies. No disability or worker&apos;s compensation in the event of an injury. No Social Security withholdings, sick time, or overtime pay. In three states—Texas, Georgia, and Arkansas—they work for free. In Texas, where inmates are required to work under threat of punishment, most do maintenance tasks like Hazen, but some are assigned to "field force" jobs designed to be particularly demeaning. "It wouldn&apos;t be an ideal job," says Jason Clark, Texas Department of Criminal Justice public information officer director. "Someone may have had disciplinary issues, so they end up in the field force, doing various things including clearing fence lines. They&apos;re out under armed-guard supervision, using their labor." If that scenario sounds familiar, it should. "Thousands of prisoners toil in the hot sun every day and make nothing," says Judith Greene, a researcher and advocate with the non-profit group Justice Strategies. "Prison guards on horseback, 10-gallon hats, prisoners in their uniforms. It looks like what it is: plantation labor all over again." Critics trace the current system back to convict-leasing, which historian Douglas Blackmon calls "slavery by another name." From the time of Reconstruction until the early to mid-20th century, prison inmates—almost all of them black, many convicted of fabricated crimes like "false pretense" or "selling cotton after sunset"—were routinely leased out to private companies to work on plantations and in coal mines and factories. 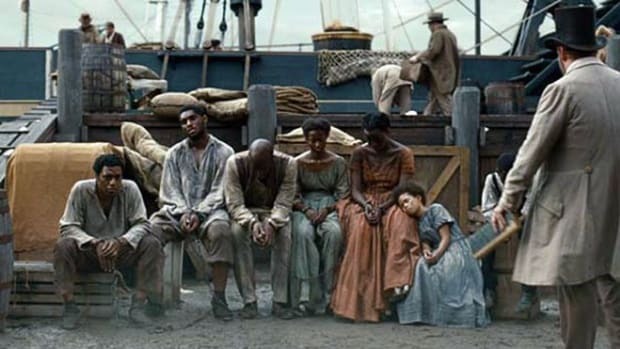 There, they "were compelled to labor without com­pensation, were repeatedly bought and sold, and were forced to do the bidding of white masters through the regular application of extraordinary physical coercion," as Blackmon writes. Conditions in most prison workplaces today are nowhere near as brutal, but the legacy is hard to ignore. 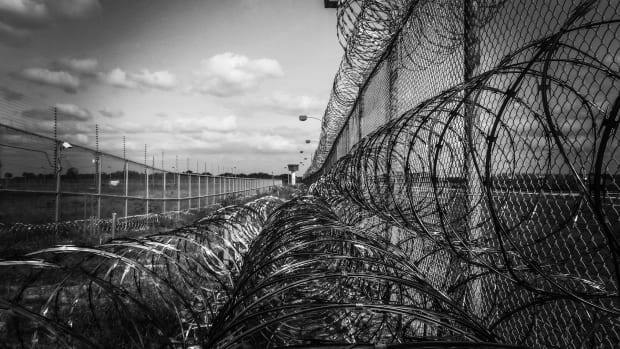 Since prisoners are so far removed from the free market, and since their work is barely recognized as such by government agencies that regulate labor, they have little recourse and few protections. The Occupational Safety and Health Administration is one safeguard they do have—federal and some state inmates "working in conditions similar to those outside prisons" can file an OSHA complaint if their workplace is unsafe—but it&apos;s toothless because, unlike in a free-world workplace, OSHA has to notify prisons in advance of inspections. A 2010 report by the government&apos;s General Accountability Office skewered the federal prison system for purposefully hiding from OSHA dangerous practices at an electronics-waste recycling plant where toxic dust sickened hundreds of inmate workers and officers. Despite the conditions and the pay, most inmates want to work. A job gives them a safe place to be for hours each day, provides a break from the monotony of prison life, and—in most states—puts a few dollars and cents in their commissary account. "I was happy to work," Hazen says. "It made me feel like I wasn&apos;t so much in prison. It gave me a minute by myself to get away from the craziness, time to think and reflect and figure out what I wanted to do with my life." What the job didn&apos;t provide was a wage sufficient to support her son and accumulate some savings for post-prison life, or job training that would help her pursue the goals she established in that dish room: to study psychology and one day open a domestic-violence shelter. After six months of work, Hazen left prison the way most people do: with a criminal record, no meaningful job experience beyond what she went in with, and not even enough savings to buy a suit for a job interview ($43). service. As a result, prisons—and taxpayers—use prisoners to save hundreds of millions of dollars each year on labor costs, according to the GAO. "If our criminal-justice system had to pay a fair wage for labor that inmates provide, it would collapse," says Alex Friedmann, managing editor of Prison Legal News, an independent magazine that promotes inmates&apos; rights. "We could not afford to run our justice system without exploiting inmates." If paying inmates pennies looks like savings to corrections officials, it translates to additional costs for everyone else. Consider, for starters, that more than 1.2 million prisoners have a minor child—2.7 million kids in all. About half of these parents were, like Laurie Hazen, their families&apos; primary breadwinners before they went to prison. Not surprisingly, their families often turn to social safety-net programs to compensate for the missing income. Families with an incarcerated parent are 50 percent more likely to use Medicaid and twice as likely to use food stamps. For most, the situation doesn&apos;t improve upon release. Even as state and federal governments pour hundreds of millions of dollars into re-entry initiatives with the aim of easing the transition home and slowing the "revolving door" between prison and the community, they&apos;re undermining successful re-entry by burying inmates in fees and fines while paying them next to nothing for their work. It costs money to be locked up in America—more and more of it all the time: court costs and fees when you&apos;re tried, booking fees when you&apos;re processed in jail and then prison, and supervision fees while you&apos;re out on parole. Restitution costs, child-support arrears, and, in some states, "room and board costs" pile up during long prison terms. A state-sponsored study of the impact of legal fees in Washington found that the average inmate owes $2,540 per conviction in fees and fines. The combination of debt and poor job opportunities can lead recently released prisoners right back to prison—neither a cost-effective outcome for the state nor a desirable outcome for, well, anyone. Sometimes people land back behind bars because of their debts alone; the American Civil Liberties Union and New York University&apos;s Brennan Center for Justice documented hundreds of cases in which people were re-incarcerated as a result of their inability to pay criminal justice debts. In one Ohio county, more than 20 percent of all jail bookings stem from a failure to pay fines—a Dickensian situation that critics liken to modern-day debtors&apos; prisons. Harvard University sociologist Bruce Western is currently conducting a small study on re-entry, following 135 people in Boston&apos;s urban neighborhoods during the first year after they&apos;re released from Massachusetts prisons. More than half of the people in his sample have not worked a single day in the months since they&apos;ve been released. They survive instead on $200 a month in food stamps. If they have no friends or family to stay with, they are homeless. "How do you live on zero income?" Western asks. "People appear to be doing that." For many ex-felons, the only way to dig out of debt is to break the law. New Yorker Glenn Martin was 22 in 1995 when he was sentenced to six years for armed robbery of a jewelry store. In prison, he earned $10.50 for 30 hours of work a week as an administrator at the facility&apos;s college program—approximately the same pay as Laurie Hazen earned washing dishes but with the benefit of providing real job experience. "I learned how to use computers. I kept spreadsheets, helped people register for classes," he says. He was released in 2000 and took the bus back to Manhattan with just $230 in his pocket. Then he got a break: A non-profit specializing in job placements for people with criminal records helped him land a job as a receptionist at a law firm. It paid $16,000 a year—a far cry from the thousands per day Martin says he used to make "ripping and running the street." But, he says, "I was committed to turning my life around." His meager pay plus the debts he&apos;d racked up in prison made that practically impossible. When Martin had gone in, his son was six months old, and Martin was paying $50 a month in child support, an amount he naïvely thought would remain fixed during his bid, making paying it off "doable." But later he learned that the judge had issued a default order, increasing his payments to $100 per week plus 9 percent interest. Now he owed $53,000 in arrears, plus the ongoing weekly payments, plus $5,000 in court fees and fines. "It&apos;s insurmountable pressure," he says. "Either I do something wrong to pay off the fines and fees, or I relegate myself to a debtors&apos; prison or a lifetime of poverty." "The system creates this weird situation where it tells you to do the right thing and turn your life around," Martin says, "and then actually incentivizes future violations of the law—even if you&apos;re inspired to do the right thing." Lately everyone from Attorney General Eric Holder to Senator Ted Cruz has called for reforms to just about every aspect of the system: how we target people for arrest, how we arrest them, how we try them, sentence them, incarcerate them, release them, and supervise and support them once they&apos;re home. All are areas ripe for re-imagining. But prison labor is not. In 1985, as "tough on crime" mania was sweeping the country, Supreme Court Chief Justice Warren Burger wrote presciently: "When our country is embarked upon a multibillion dollar prison construction program, it is fair to ask: Are we going to build more expensive human &apos;warehouses,&apos; or should we change our thinking and move towards factories with fences around them, where inmates can acquire education and vocational training and then produce marketable goods?" History has answered Burger: warehouses. But it doesn&apos;t have to be that way. What would happen if Americans decided to treat prison workers like, well, workers? It&apos;s a noisy Wednesday at the Brown Creek metals plant in Polkton, North Carolina. The plant&apos;s approximately 55 workers make fire rings for state parks, industrial sinks for school cafeterias, contraband lockers for the police. Some are experts in CAD, computer-aided design. Others are journeyman welders. A 44-year-old man named Joshua* built the plant&apos;s plasma burn table from a pile of mail-order parts. Before he went to prison for sexual assault in 1999, Joshua made $15 an hour as a machinist making automobile cylinders; now he makes $15 a week operating the plasma cutter, designing and creating custom metal piecework. During his downtime at work, he uses leftover scrap metal to design and build grandfather clocks that keep remarkably accurate time. One sits next to his workstation, pendulum swinging, marking his time in custody: 15 years down, eight to go. This plant and 31 others like it compose the North Carolina Correction Enterprises program, which puts inmates to work producing goods for sale to "tax-supported entities" like municipal or county governments. Every state, along with the Federal Bureau of Prisons, runs a similar program in which inmates learn skilled work that can ease their transition to the outside. Modern-day correctional industries date back to the 1930s, when Franklin Delano Roosevelt won the support of a reluctant American Federation of Labor to create Federal Prison Industries, with the dual aim of rehabilitating inmates and easing the burden on the taxpayer. "If we send men to prison, and don&apos;t let them work, the taxpayer must foot the entire bill," the Federal Prison Bureau director told the New York Times. FPI—now more commonly known as Unicor—sells products exclusively to the federal government, with the aim of minimizing competition with private-sector companies. State correctional industries follow similar rules. A hybrid between a for-profit business and a rehabilitation program, correctional industries are typically self-supporting: Program revenue, not taxpayers, pays for equipment, supplies, inmate wages, and staff salaries, and profit is rolled back into the program. But the idea is to train workers, not to compensate them; pay is only slightly higher than for prison-maintenance jobs. Still, even the savings Joshua has wrung from his $15 a week has made some difference, he says: "I send my kids money orders and buy them books. I&apos;ve sent them several hundred dollars over the last couple years. I wish I could send them more." But he has no complaints about the work: "I love making useful things. I do take pride in my work. I do like learning. I would wilt and die if forced to do some job such as folding sheets or slopping trays day in, day out for years." The iconic prison job, making license plates, is typically a correctional industries job. Inmates also do telemarketing and data entry. They build office furniture, fill eyeglass prescriptions, manufacture cleaning supplies, and produce clothing—including, in North Carolina, their own uniforms and those of the correctional officers keeping watch over them. Prisoners gentle wild horses in Wyoming, raise water buffalo for mozzarella cheese in Colorado, and build motorcycles in Nevada. A men&apos;s prison in Chino, California, runs a commercial dive school for inmates, training them to work as commercial divers, underwater welders, and heavy-construction riggers—highly specialized jobs that pay upward of $50,000 per year. Their recidivism rate is less than 7 percent, compared to 64 percent of the state&apos;s general prison population. "When we can see a guy come in here with no marketable job skills—the only job he&apos;s probably had is street pharmaceuticals—and he learns a skill and takes that skill out when he&apos;s released, that&apos;s the most rewarding part for me," says Clayton Wright, the plant manager at Brown Creek. The warm metal makes the shop smell like a toaster oven, and the din is so loud that Wright is shouting. "I&apos;ve been in my office and got phone calls from past inmates: &apos;I got a job making 30 bucks an hour. I&apos;m so happy.&apos; I&apos;ve also gotten calls from employers, who ask: &apos;Do you have any more like so-and-so? He&apos;s one of my best.&apos; We&apos;re so proud of that." Programs like North Carolina&apos;s are designed with a certain amount of intentional inefficiency, aiming to employ as many inmates as possible for as many hours as possible. During downtime at the factory, Wright encourages the men to experiment with the materials and equipment; that&apos;s how Joshua came to make grandfather clocks. "What we want to do is, when they&apos;re released, for them to feel unnatural not to be working," says Mike Herron, who heads up correctional industries in Indiana. “For you and I, if we go a long period of not working, something&apos;s wrong. But they have not lived their life that way. We&apos;re trying to change that habit to where they need to work, mentally, just as much as you and I do." Herron&apos;s program stands out because almost every job—from cabinetmaker to electrician to housekeeper—comes with a Department of Labor apprenticeship, including one through the Library of Congress in which inmates produce Braille books for state-run schools for the blind. Apprentices leave prison with documented bona fides that help to counterbalance the difficulty they&apos;ll face in job hunting. "These guys are felons, so paper helps them get in the door when they get outside," Wright says. Research bears him out. One Washington state study found that working in correctional industries significantly reduces future crime rates and that the state saves $6 for every $1 it spends to launch the programs. In Tennessee, the state&apos;s correctional industries program, TRICOR, estimates that taxpayers save $3.3 million each year by giving 1,500 inmate-employees a productive way to occupy their time. On the federal level, inmates who have worked in correctional industries are 35 percent less likely to land back in prison; a decade later, recidivism in this group was still substantially lower. at a fraction of the labor costs, and cry foul. The thicket of laws and regulations meant to alleviate that complaint—prohibiting most inmate-made goods from being sold across state lines or in the open market—limits correctional industries&apos; customers and hampers their growth, but it doesn&apos;t address the root problem. "If the government would otherwise be buying its pencils from a private vendor," the fact that they get them from prisoners still means that a private pencil vendor is out of a sale, notes Noah Zatz, a University of California–Los Angeles law professor who studies non-traditional employment. American Apparel, an Alabama manufacturer of military uniforms (not affiliated with the retailer of the same name), says it had to lay off 225 workers in 2012 when it lost a contract to Unicor. "We pay employees $9 [per hour] on average," American Apparel&apos;s Kurt Wilson told CNN Money. "They get full medical insurance, 401(k) plans, and paid vacation. Yet we&apos;re competing against a federal program that doesn&apos;t pay any of that." Last year Alpine Steel, a Las Vegas company, became the target of competitors&apos; ire when it paid Nevada inmates minimum wage for work that on the outside would pay $18 or $19 per hour. "Competing against prison labor reduces the number of jobs available in our industry and hampers our businesses from expanding," read a petition from competitor XL Steel and a half-dozen other local steel companies. Alpine Steel was participating in the one prison work program that does pay competitive wages—at least in theory. 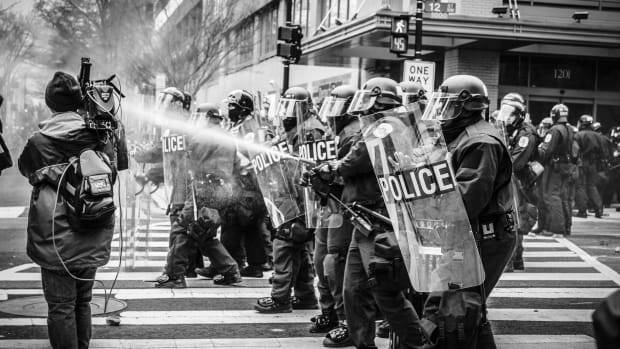 The Prison Industry Enhancement Certification program was created in 1979, over labor unions&apos; strong objections, after high-profile prison riots convinced politicians and the public that prisoners needed something useful to do. For the first time since convict-lease programs were outlawed, for-profit companies were permitted to set up factories inside prisons with inmates as employees. In 38 states, inmates do mostly factory-style work like packaging products, assembling clothing, and building circuit boards. Unlike correctional industries goods, these products can be sold on the open market. To avoid undercutting private-sector wages, companies must pay "prevailing wage" for their particular industry, although in practice this often means minimum wage; then the prison can deduct up to 80 percent of pay for "room and board," victims&apos; compensation, and mandatory savings. Still, even with these enormous deductions, PIE jobs are the highest paid in prisons; the top of the pay scale is $16.95 per hour before deductions, according to the National Corrections Industries Association, an industry group charged with auditing PIE programs. A loophole in the federal PIE legislation exempts companies from paying prevailing wage when the work is designated as a "service" rather than a "job," and a recent exposé on the website Truthout identified at least one company exploiting that loophole to dangerous effect: An Arizona firm, Martori Farms, which supplies produce to Walmart, was paying inmates $2 an hour for involuntary agricultural work in the desert sun, with inadequate water or sunscreen. 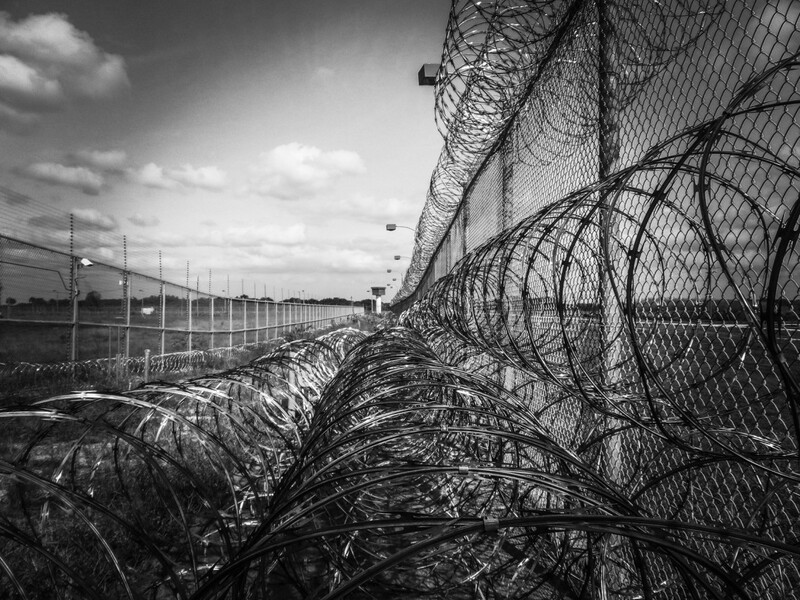 Prisons have no incentive to pay inmates better—to the contrary. Unlike workers in the free market, who (theoretically, anyway) can weigh factors like pay, working conditions, and other benefits when deciding where to work, inmates do not have a choice between employers. If they need the money, or the experience, they must take or leave what the prison is offering. Labor unions would normally be an obvious advocate for exploited workers like these. But they have traditionally been either openly hostile or uncomfortably silent when it comes to prison labor, since inmate workers are seen as undercutting wages and competing for work with free-world union members. Neither the AFL-CIO nor the Service Employees International Union has an official position on prison labor. While the AFL-CIO&apos;s deputy policy director Kelly Ross says that "clearly we are in favor of raising standards for prison workers in terms of wages and working conditions," neither union has organized on behalf of inmate workers. Union workers in trades and manufacturing, two of prison labor&apos;s primary industries, are already struggling in post-industrial America. Many see prison workers along with sweatshops in China as a threat to their wages and their jobs. "Jobs are already under attack because of low-cost imports," said Ann Hoffman of the textile workers&apos; union UNITE at a 1997 congressional hearing. "Our workers cannot afford to compete with the wages and the lack of benefits that exist in the prisons." times of employment," says Gina Honeycutt, executive director of the NCIA. And &apos;round and &apos;round the argument goes. When the a priori assumption is that inmates should not compete for free-world work, the argument is narrow: Opponents say that inmate labor displaces competitors on the outside, while supporters say it doesn&apos;t.
But the back-and-forth debate elides a larger question: So what if it does? We may all agree that, by committing certain crimes, people forfeit their right to be free, at least for a time. Must that also mean they forfeit their right to fair pay for their work? Ultimately, does it serve justice—or benefit the economy—to have so many people released from prison with sizable debts, no job skills, and nowhere to turn but to crime or the government safety net? Those who claim, as many do, that "every job a prisoner has is a job a person in the free world does not have" misunderstand how economies function, according to economists who have studied the issue. Think of these jobs not as a one-for-one swap—there&apos;s only one position, and either I have it or you have it—but rather as a spiral. Economists call it a "multiplier effect": Unemploy­ment begets unemployment. Communities with high rates of incarceration don&apos;t just lose the workers who go to prison. They lose the money those workers (and their families) spend at the local grocery, banks, restaurants, and shops. The impact is felt through generations; studies show that having a parent in prison hampers a child&apos;s prospect of upward economic mobility. If the law required that inmates be paid wages comparable to peers doing similar work on the outside—what the PIE program is supposed to do—their jobs would have the opposite effect. When the inmate sent his income home, he&apos;d help create additional jobs. Paying inmates a prevailing wage would eliminate the complaint by free-world competitors and labor unions that prison shops are undercutting wages, since the wages would be the same on the inside and on the outside. It would help inmates make amends for their crimes, too, by allowing them to pay restitution to victims. And it would help them to accumulate some savings so they can rebuild their lives when they&apos;re released. But prisons have no incentive to pay inmates better—to the contrary. Unlike workers in the free market, who (theoretically, anyway) can weigh factors like pay, working conditions, and other benefits when deciding where to work, inmates do not have a choice between employers. If they need the money, or the experience, they must take or leave what the prison is offering. "Prison is a deadening, horrific experience, and people line up for these jobs, whether they&apos;re safe or unsafe, exploitative or not," says Heather Ann Thompson, a Temple University historian who studies labor history and criminal justice. There is one way to change the system fundamentally: Bring prison jobs under the Federal Labor Standards Act, which sets minimum standards for wages and working conditions. Don&apos;t count on it happening anytime soon. Prison administrators say that paying real wages for real work would make them go bankrupt. Correctional industries administrators say the same thing: If inmates received the minimum wage, "we wouldn&apos;t exist," says Indiana&apos;s Mike Herron. "Security costs and other costs are so high." Even with the rising public and political recognition that America&apos;s massive prison system is a costly, counterproductive mess, it&apos;s inconceivable that lawmakers—who would be assailed by labor, business, and tough-on-crime holdouts—will take such a radical step any time in the near future. Genuine prison-labor reform would almost surely have to come through the courts. For decades, inmates have been asking the judiciary to step in and require that prisons treat their inmate employees like employees. Countless judges, both state and federal, have held that inmate workers need not be offered the same rights or protections as free-world workers. But from one ruling to the next, they can&apos;t agree on why, exactly. Some dismiss the claims on their face, concluding, as the 9th Circuit did in 2010, that "the Thirteenth Amendment does not prohibit involuntary servitude as part of imprisonment for a crime." Other judges have grappled with the nature of the work, for instance whether the work is being done inside the prison or outside, as in work release programs. But as UCLA&apos;s Zatz points out, "you can have a call center in a prison that&apos;s competitive with other call centers. It&apos;s sort of irrelevant, physically where it&apos;s located." Some judges zeroed in on who is buying the goods—the distinction between public and private customers that correctional industries officials are so careful to make. "Each of these is a kind of attempt to draw a boundary between the world of the prison and the world of the market," Zatz says. "None of them really makes any sense. But you see courts constantly grasping for these kinds of explanations as a way to separate out inmates from regular workers." Employment law is supposed to rely on a three-pronged test to determine whether two people are engaged in an employee-employer relationship: Are they producing something of value? Are they getting paid for their work? Do they have a supervisor telling them what to do? Prison jobs meet all three criteria. "The puzzle," Zatz says, "is the way in which courts have a strong instinct: No, there&apos;s something different here. And then they run around in circles trying to figure out what that something different is." The something different is a moral judgment: Inmate workers are seen as less deserving of a decent job or a competitive wage. The courts, in this sense, are reflecting public sentiment. It&apos;s why the idea that "law-abiding citizens ... need jobs worse than inmates" (in the words of one recent Nevada editorial page) resonates the way it does. It&apos;s the same reason people with felony convictions have such a hard time finding a job, why in so many states they&apos;re barred from voting, why a criminal record can prevent you from living in public housing or securing student loans, and why political candidates have long won more votes with punitive rhetoric than with compassion or level-headed talk of prevention. In America, breaking the law has become more than just an occasion to be punished or even rehabilitated. It has become a permanent mark of who you are and what our country thinks you&apos;re entitled to earn. For one brief moment, in 1992, prison-labor reform looked possible. Since the 1970s, a group of inmate workers in Arizona and their lawyer, Michael St. George, had pursued a case further and further up the courts, finally convincing the Ninth Circuit Court of Appeals, in Hale v. Arizona, that the Fair Labor Standards Act should apply to them. It appeared as though Arizona prisons would have to start paying inmates minimum wage. 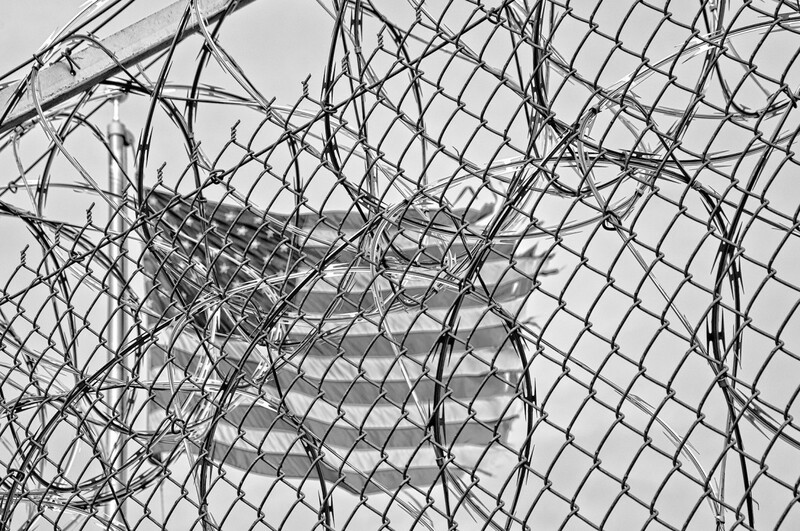 The ripple effect would have been enormous: Americans would have been forced not only to rethink their views of prisoners&apos; rights but to reconsider the prison system altogether. 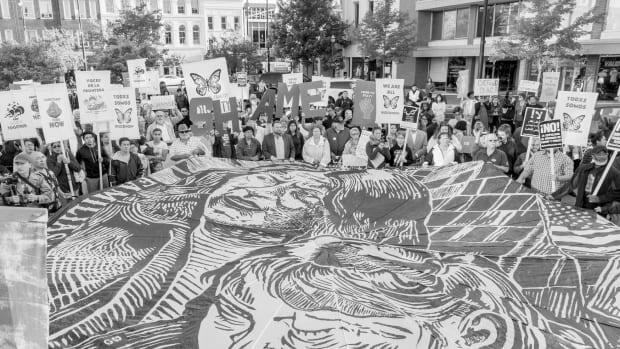 The country could not afford to incarcerate 1.6 million people if they all had workers&apos; rights. But it never came to that. The state appealed the decision, the Ninth Circuit reheard the case with 11 judges instead of the original three-judge panel, and the court overturned its own ruling the following year. Why? When you ask St. George to explain the court&apos;s logic, his voice carries decades&apos; worth of weariness: "The Ninth Circuit decided," he says, "that the Fair Labor Standards Act didn&apos;t apply to those inmates, because they were prisoners." *Editor&apos;s Note: "Joshua" is a pseudonym. The North Carolina Department of Corrections requested that inmates&apos; real names not be used in this story. Schwartzapfel, Beth. 2014. "Modern-Day Slavery in America&apos;s Prison Workforce." American Prospect, May 28, 2014. Reprinted with permission. If workers in prison were in the general labor force, which of their rights would prison labor laws be violating? How would you change the work programs mentioned in the article to avoid exploitation and better prepare imprisoned people for a life after prison? What attitudes about people in prison drive prison labor programs? According to the article, what are the costs to society for high incarceration rates? How does the policing described in Chapter 1 contribute to the prison workforce issues? What other solutions, not mentioned in this chapter, do you see for the issues of rehabilitation and prison labor?